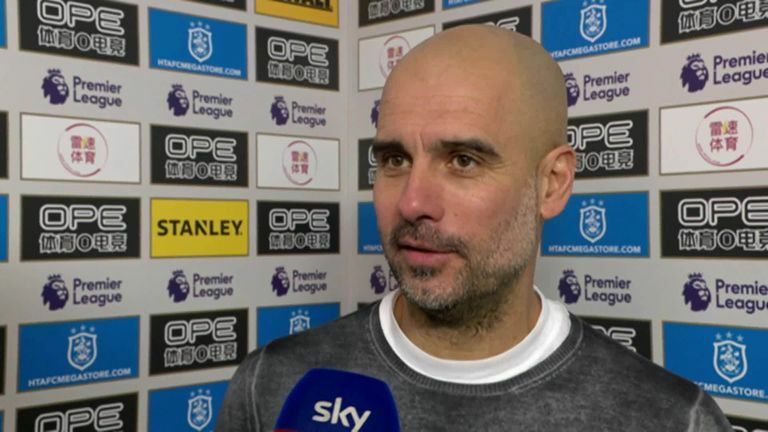 Pep Guardiola called for improvement from Manchester City, despite them having few problems in beating Huddersfield 3-0 to keep the pressure on Liverpool in the Premier League title race. City cut the gap to Liverpool at the top of the table to four points once again, with Danilo, Leroy Sane and Raheem Sterling all getting on the scoresheet against the Terriers. 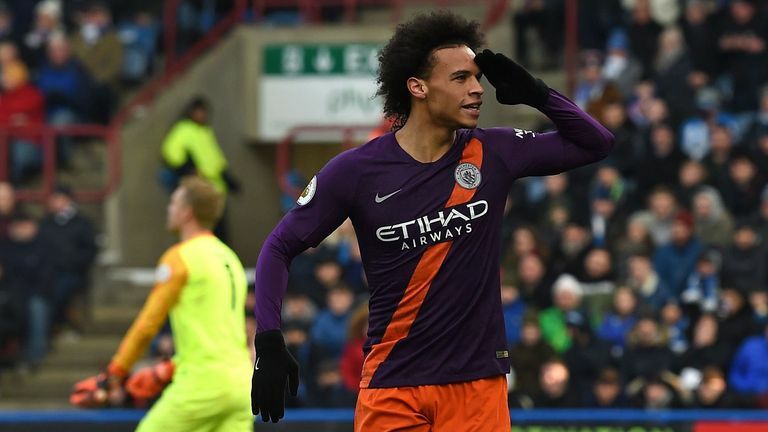 Highlights from Manchester City's 3-0 win over Huddersfield in the Premier League. "This game can teach us and show what we have to do to improve," said Guardiola. The City manager was unhappy at the pace his team played at, as well as the quality of the passing in the first half. The champions did rely on a stroke of fortune to earn a half-time lead, with full-back Danilo's long-range shot taking a wicked deflection before spinning into the net. City were better after the break, with Sterling and Sane scoring as they eased to a fifth straight win in all competitions. "The way we played, we didn't deserve more than three goals," Guardiola said. "We will improve in the future. We have to demand more from ourselves in every game and do our best, but sometimes it's difficult. They defended deep and man to man." Guardiola did not wish to speak about Liverpool, but has challenged his side to keep improving as they look to close in on their title rivals. He said: "I'd prefer to be in Liverpool's position but all we can do is win our games so what should I say? "We have to win our games and improve, so now I need to analyse what we have done in our games to improve. I've said many times I cannot speak in every press conference about Liverpool. "They are at the top, so all we can do now is focus on the second game of the Carabao Cup semi-final. We will see." City became the first team across the major European leagues to reach 100 goals in all competitions this season and Guardiola said he was particularly pleased with the variety of their goalscorers. He added: "We try to score as much goals as possible. "It's important that a lot of players score goals - wingers, attacking midfielders. It's nice to have that situation with a lot of competition to score a lot of goals, so it's good."